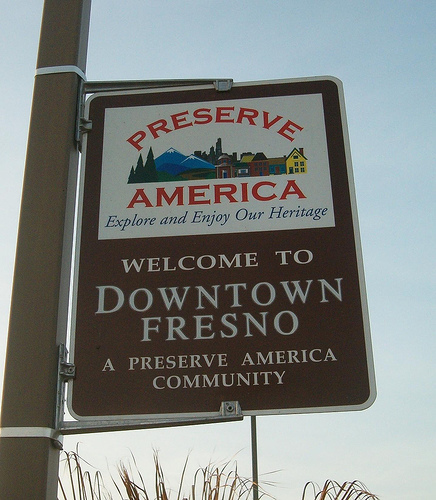 This program recognizes and designates communities, neighborhoods, and tribal governments that protect and celebrate their heritage, use their historic assets for economic development and community revitalization, and encourage people to experience and appreciate local historic resources through education and heritage tourism programs. 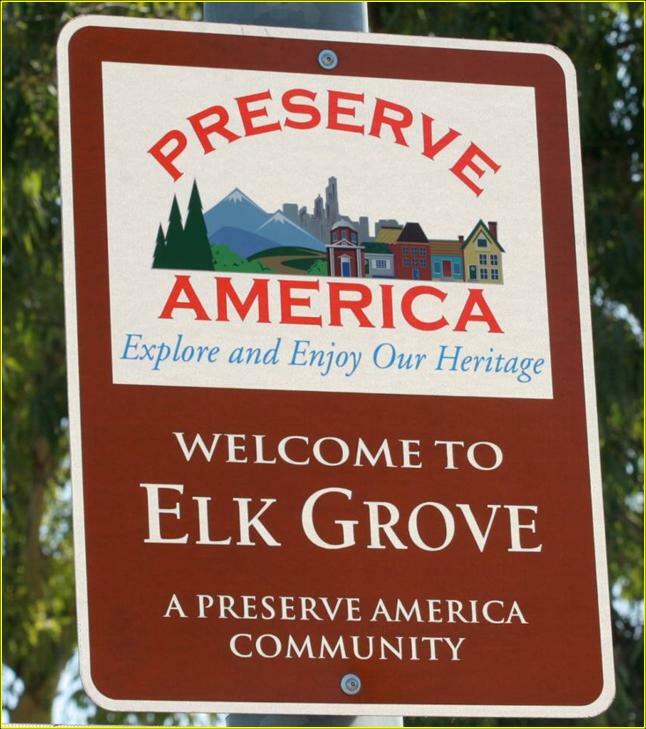 Since the program began, more than 850 communities (including nine neighborhoods) have been designated as Preserve America Communities in all 50 states and one U.S. territory. 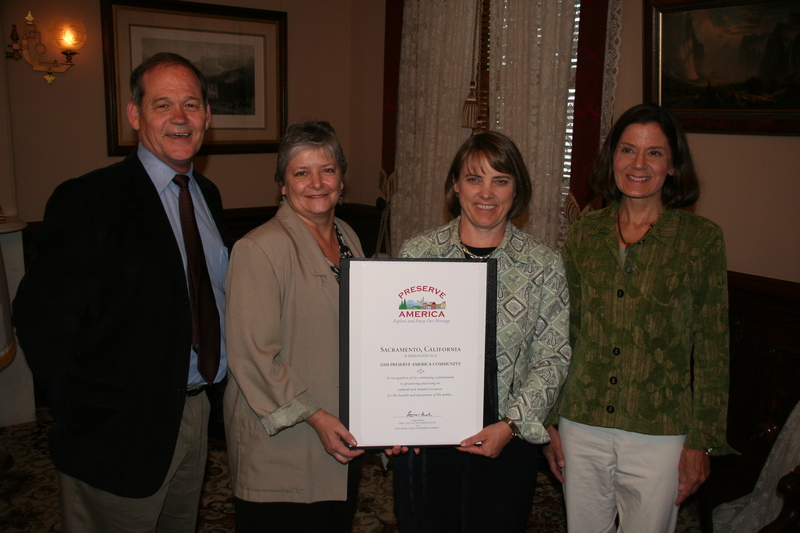 Benefits of designation include White House recognition; eligibility to apply for Preserve America grants; a certificate of recognition; a Preserve America Community road sign; authorization to use the Preserve America logo on signs, flags, banners, and promotional materials; listing in a web-based Preserve America Community directory; inclusion in national and regional press releases; official notification of designation to state tourism offices and visitors bureaus; and enhanced community visibility and pride. Applications are accepted quarterly; deadlines are March 1, June 1, September 1, and December 1. The federal government carved out a limited role for the states in administration of the Preserve America program. Preserve America applicants (as a community or neighborhood) are required to consult with OHP and the applicant is required to demonstrate that such consultation took place. OHP will review the application and provide a letter of support. The application process for Certified Local Governments (CLGs) is streamlined. Staff contacts for the Preserve America Program are to the right on this webpage. Note: OHP idoes not make the decision regarding Preserve America designations and is not involved in the review or approval of applications for Preserve America grants. There are currently 26 Preserve America designations in California. These include two counties (Tuolumne and Monterey); five neighborhoods in large cities (Little Tokyo, Thai Town, and Chinatown in Los Angeles, Little Italy in San Diego, and Japantown in San Francisco); and nineteen cities. The nineteen cities are: Elk Grove; Fresno; Fullerton; Livermore; Mendocino; Monterey; Ontario; Redlands; Richmond; Sacramento; San Clemente; San Juan Bautista; San Ramon; Santa Ana; Santa Barbara; Santa Monica; Santa Rosa; Ventura; and Weaverville. Monterey: “Toward a Seamless Monterey Experience.” $100,000, to develop a coordinated interactive wayfinding and signage program to promote historic and cultural resources, document and interpret public and private heritage assets, and enhance the visitor experience in the City of Monterey. Wiyot Tribe THPO: “Indian Island Interpretation and Education Project.” $100,000 to design and install designated interpretive trail markers at significant tribal locations and produce educational kiosks to provide a variety of audio and visual self guided presentations. Richmond: “Preserve Richmond to Interpret and Support Memories.” $75,000 to sponsor reconnaissance survey work that will identify historic resources to be incorporated into the Rosie the Riveter/World War II Home Front Historical Park. San Clemente: “San Clemente Wayfinding Sign Program.” $30,000 to develop a wayfinding program to direct visitors to historical and cultural resources in town. Santa Monica: “Santa Monica Pier.” $100,000 to promote the historicaland cultural value of the Santa Monica Pier through a yearlong celebration and promotional campaign. Weaverville: “Marketing and Wayfinding Project.” $28,754 to develop a marketing project to promote heritage festivals, advertise local museum content, and develop wayfinding guides to the town. Santa Monica: “Beach Cultural Mapping Project.” $100,000 to fund a reconnaissance survey of historic sites along the beachfront, with an eye to adding historical makers and interpretive exhibits in the future. 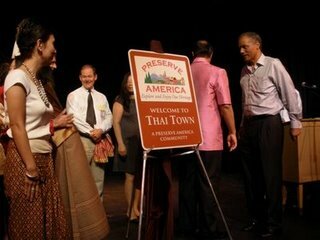 Los Angeles – Thai Town, Little Tokyo, and Chinatown: “Asian Pacific Islander Neighborhood Cultural Heritage and Hospitality Education and Training.” $250,000 to fund a critical assessment of cultural and historical assets, develop hospitality training material, provide training materials for communities to become self-sustaining heritage centers, and provide historic preservation services to the communities.